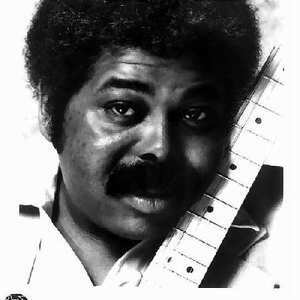 Isaac Scott (1945 - 2001) was a blues singer and guitarist from Vancouver, Washington. Though Northwest Blues icon Isaac Scott was actually born in Vancouver, Washington, on June 11, 1945, his heart always remained in the Delta home of his parents upbringing. He even claimed Pine Bluff, Arkansas as the place of his birth on several album liner notes and in many interviews. His family had in fact moved from that locale in 1943, relocating to Portland, Oregon. Though Northwest Blues icon Isaac Scott was actually born in Vancouver, Washington, on June 11, 1945, his heart always remained in the Delta home of his parents upbringing. He even claimed Pine Bluff, Arkansas as the place of his birth on several album liner notes and in many interviews. His family had in fact moved from that locale in 1943, relocating to Portland, Oregon. Isaac Scott As a young child, Isaac was consumed by music. Learning from the Gospel singers and choirs of his church, he developed a deep love for the sound and feel. His parents noticed this interest in their son and enrolled the youngster in music lessons. Not only did he become an accomplished guitarist, he was also adept at the piano as well. At the age of 10, his mother took him to see a performance by the famed Blind Boys of Mississippi. Their joyful sound was something that would stick with him for the rest of his life. When the group later toured the West Coast in the early 1960s, their guitarist quit the band-mid-tour, and Isaac was given the opportunity to work alongside his long-time idols. Isaac shared his musical interests with his life-long friend, Portland Bluesman, Norman Sylvester. The two attended Jefferson High School together and were also members of the same church. They were consistently trying out new guitar-licks with one another as teenagers and remained close friends throughout the years, often sharing the stage with one another. Deeply impressed by the guitar work of Bluesmen such as Freddie King, B.B. King and Albert Collins, Isaac formed the basis of his own style from these masters. Having the chance to meet and play with Collins in 1969, they also kept a close friendship until Albert's death in 1993. Though Scott's sound may have derived from these legendary Bluesmen's music, it was a style truly his own. For more than 25 years, Isaac Scott was a mainstay on the Northwest Blues scene. After moving to Washington in 1974, he soon found himself billed under the moniker "The Blues King of Seattle." And, despite a fluctuating attitude towards Blues music in general in the city, Scott remained a popular draw throughout his life, working alongside many of the Northwest's favorite performers, such as Tom McFarland, Tony Thomas and Steve Bailey. In 1987, Scott was diagnosed with diabetes. It was a disease that had been hereditary in his family, as both his father and an aunt had also suffered from it. It also struck Isaac hard, too. In 1996. he had half of his right foot amputated. The left foot was removed the following year and more recently, his right leg was taken. Though his movement was incapacitated by these surgeries, it did not prevent him from performing from a wheelchair onstage. On Sunday, November 11, 2001, Isaac Scott was discovered unconscious in his Seattle home and was taken to Stevens Memorial Hospital. He never did regain consciousness and died on Friday, November 16. from complications stemming from diabetes. He was 56 years old. During his career, Isaac Scott released several albums that received much attention in the Northwest including, "Isaac Scott", "Big Time Blues Man", "High Class Woman" and "Listen To The Blues". He also appeared on numerous compilation recordings, most notably "Live At The Roadhouse". released in 1985 and placing him alongside notable Northwest artists Paul deLay, Curtis Salgado and Tom McFarland. Scott was also honored by the Washington Blues Society, who selected him to its Hall of Fame in 1991 and awarded him a Lifetime Achievement recognition in 2000. Though he has now left us, Isaac Scott's memory will remain forever within the hearts of Blues lovers throughout the Northwest as one of our most favored musicians.